DO you live where there is no repeaters? Does your local repeater have little to no traffic? Are you looking to get more use out of your GMRs license? If yes to any of them then you may need to join us. 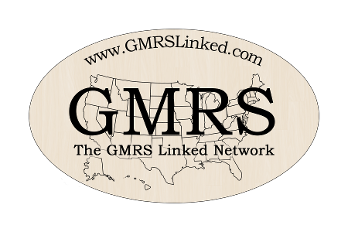 The GMRS Linked Network is a FREE network that is using software called App_Rpt/Asterisk . Our Network of private individual owned simplex and repeaters are linked together 24/7 using the internet. This Site is here to help inform you of what you will need to know to get you link with our network. There are how to videos to show you everything you need to know about this page from how to get the hardware to downloading the software. HOW IS THE NETWORK LINKED? The network is using a very reliable, and well tested platform that is written on the Asterisk VoIP platform. The software was originally written by and for Amateur Radio operators to link their repeaters together. We have taken the same software and hardware and are doing the same thing with GMRS repeaters and simplex links. The network that Amateur Radio operators use this with is called Allstar Link. A Repeater Node is made up of a repeater, one of the sound cards, and a Raspberry Pi. A Simplex Node is made up of a mobile or Handheld radio that has been modified , one of the sound cards , and a Raspberry Pi. THE STEPS ON HOW TO LINK TO THE NETWORK. 5: Do the 1st setup that is in the zipped file you downloaded the software. 6: Find a time to let me Teamview in to do the last setup.